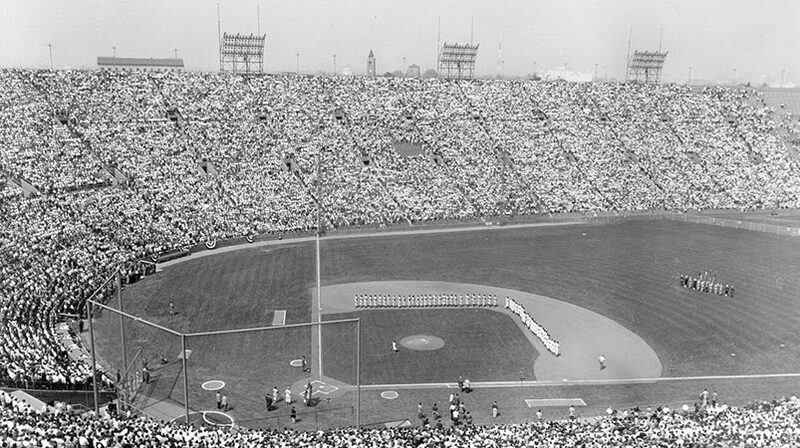 As a tribute to Dr. Martin Luther King, Jr., an East-West Major League Baseball Classic benefit game, sponsored by the Southern Christian Leadership Conference, is played at Dodger Stadium. Coretta Scott King threw the ceremonial first pitch and the East team behind Player of the Game Ron Fairly’s home run beat the West, 5-1. Fifteen future Hall of Famers played in this game.